2 CV ins: one 1V/OCT matched transistor/temperature compensated in(accepts +/- voltage), and another envelope/exponential cv in with attenuator(accepts +/- voltage). Depth: 46mm deep, skiff friendly. The Zlob Modular T.H. 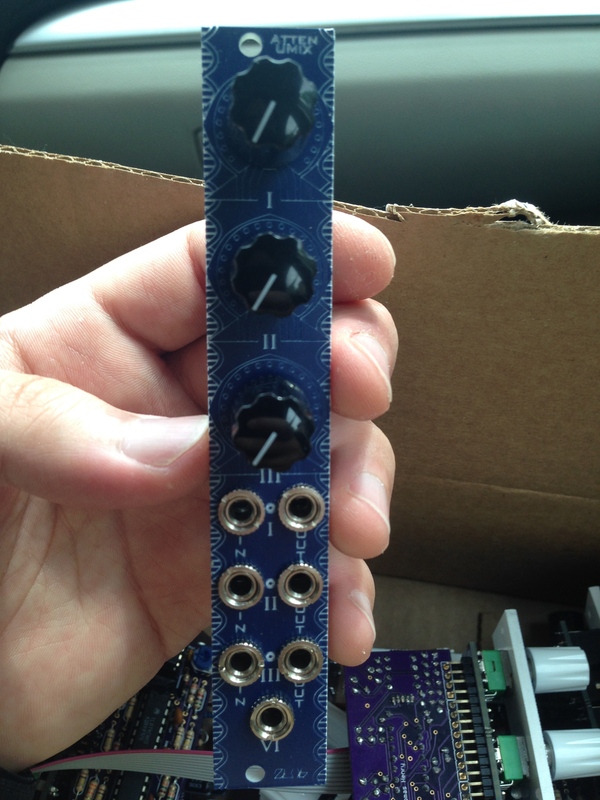 SVF filter does self oscillate at full resonance with no external audio input. 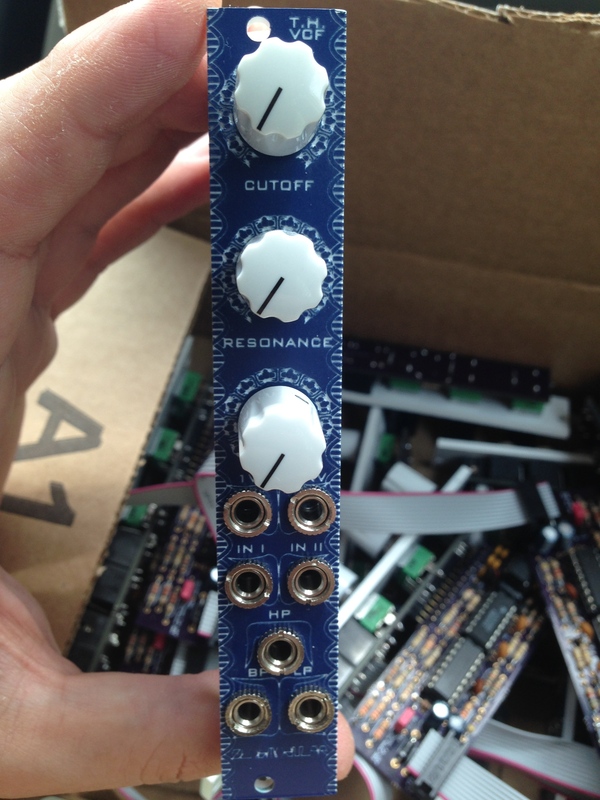 There are two resonance settings selectable by a jumper on the PCB: max resonance produces a trapezoid wave while min resonance(jumper in left position) produces an almost sine like waveform. The filter can also be used as an lfo through audio range oscillator, although higher registers experience amplitude/wave shape fluctuations. When self oscillating with an external audio source present, the filter produces pseudo chaotic instabilities which are also dependent on the resonance settings, and overdriving or attenuating the audio ins. The Zlob Modular T.H. EQ is a simple 3 band equalizer which boosts or cuts the low, mid, or high frequencies of your audio source. It passes sound relatively un-altered with each band set at noon. This is not a filter, and full cut settings of all bands will not fully eliminate your source.This EQ is AC coupled so it’s best for audio although it’s possible to eq cv with some interesting results. Skiff friendly. Reverse power protected. 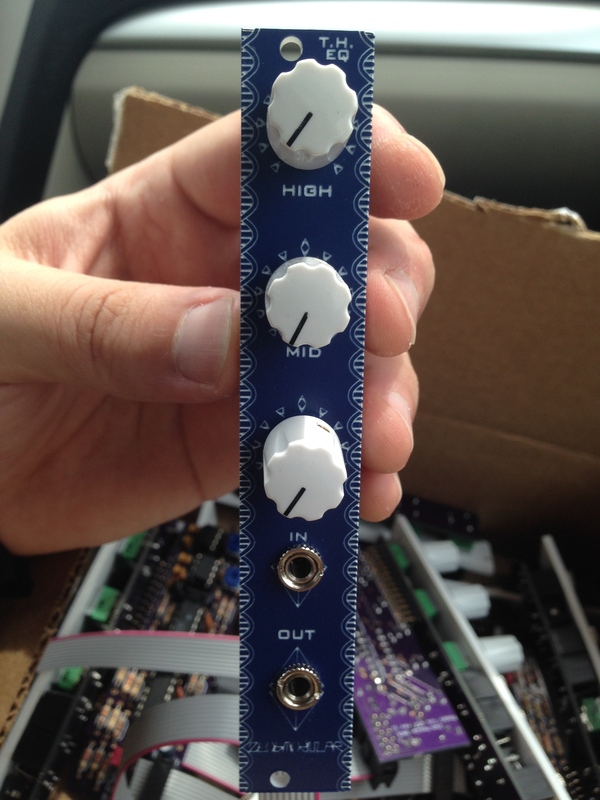 The Zlob Modular Attenumixer is a three channel passive attenuator with a sum. Each channel is normalled to the sum(VI) so it can be used as a 2 channel mixer and 1 channel attenuator, or a 3 channel mixer, or as 3 separate attenuators. Normalization to the sum is broken by inserting a jack into the outs of channels I-III. The Attenumixer works well with both cv and audio, although the potentiometers have a linear response. Since this module is passive there will be some amount of signal loss with the sum out. skiff friendly. panel is made of laser cut acrylic.